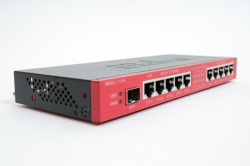 Ethernet Routers- Link Technologies, Inc. The RB2011L is a low cost multi port device series. Designed for indoor use, and available in many different cases, with a multitude of options. The RB2011L series includes five models, RB2011L, RB2011L-IN(Desktop case) and RB2011L-RM (rackmount case), RB2011LS (adds SFP port) and RB2011LS-IN (LS in desktop case).